(1928–2003) was an English astronomer and author most famous for his work in the field of archaeoastronomy. A professor and chair of the astronomy department at Boston University in the United States. In 1965 he published an analysis of Stonehenge in which he was the first to propose its purpose as an ancient astronomical observatory used to predict movements of sun and stars. Archeologists and other scholars have since demonstrated such sophisticated, complex planning and construction at other prehistoric earthwork sites, such as Cahokia in the United States. Gerald Hawkins’ work on Stonehenge was first published in Nature in 1963 following analyses he had carried out using the Harvard-Smithsonian IBM computer. Hawkins found not one or two alignments but dozens. He had studied 165 significant features at the monument and used the computer to check every alignment between them against every rising and setting point for the sun, moon, planets, and bright stars in the positions they would have been in 1500 BC. Thirteen solar and eleven lunar correlations were very precise against the early features at the site with precision falling during the megalithic stages. Hawkins also proposed a method for using the Aubrey holes to predict lunar eclipses by moving markers from hole to hole. In 1965 Hawkins wrote (with J. B. 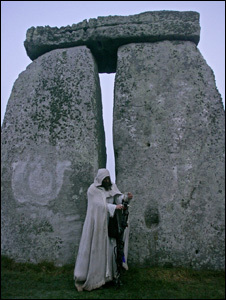 White) Stonehenge Decoded, which detailed his findings and proposed that the monument was a ‘Neolithic computer’. 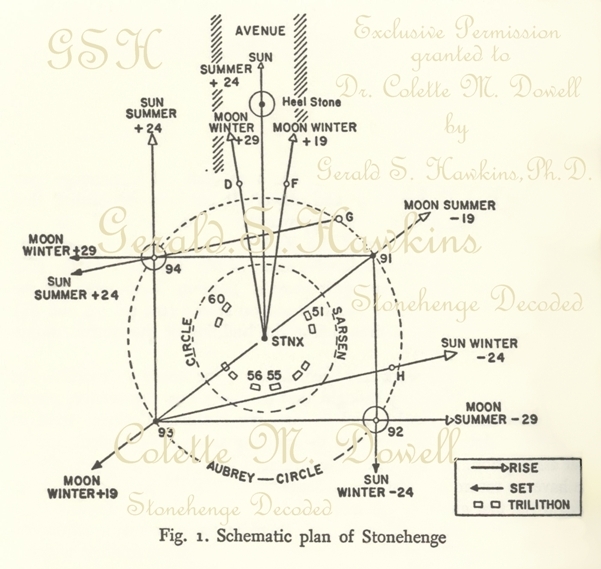 Atkinson replied with his article “Moonshine on Stonehenge” in Antiquity in 1966, pointing out that some of the pits which Hawkins had used for his sight lines were more likely to have been natural depressions, and that he had allowed a margin of error of up to 2 degrees in his alignments. Atkinson found that the probability of so many alignments being visible from 165 points to be close to 0.5 (or rather 50:50) rather that the “one in a million” possibility which Hawkins had claimed. That the Station Stones stood on top of the earlier Aubrey Holes meant that many of Hawkins’ alignments between the two features were illusory. The same article by Atkinson contains further criticisms of the interpretation of Aubrey Holes as astronomical markers, and of Fred Hoyle’s work. A question exists over whether the English climate would have permitted accurate observation of astronomical events. Modern researchers were looking for alignments with phenomena they already knew existed; the prehistoric users of the site did not have this advantage. Although Stonehenge has become an increasingly popular destination during the summer solstice, with 26,000 people visiting in 2010, scholars have developed growing evidence that indicates prehistoric people visited the site only during the winter solstice. The only megalithic monuments in the British Isles to contain a clear, compelling solar alignment are Newgrange and Maeshowe, which both famously face the winter solstice sunrise. In 1961, Gerald Hawkins, who has died of a heart attack aged 75, was professor of physics and astronomy at Boston University in Massachusetts. It was then that he returned to Salisbury Plain to film the sun rise over the marker Heelstone at Stonehenge. Assistants meanwhile plotted every stone and pit, punched coordinates on to cards and fed them, and astronomical data, into an IBM 704.This was at a time when computers were rare and glamorous. Asking that age’s technological wonder to decipher the ancient world’s icon was a gesture of timely genius. The journal Nature published Hawkins’s first results in 1963. Two years later Stonehenge Decoded, written by Hawkins with John B White, was published in the US. 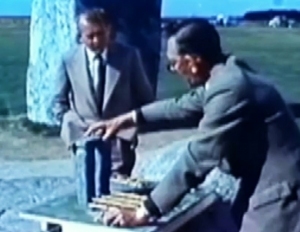 The IBM machines, Hawkins argued, showed Stonehenge to be a neolithic computer-observatory for predicting eclipses of the sun and moon. From New York to Iraq, newspapers praised the professor and his computer for rewriting prehistory. Stone-age savages were revealed as skilled scientists. Archaeologists were less happy. They sniffed at his “overconfident style”, resented his publicity and questioned his results. Hawkins’s statistics were shown to be dodgy; he had contrived a computer from a monument believed to have developed piecemeal over centuries. Stonehenge excavator Richard Atkinson described Hawkins’s book as: “tendentious, arrogant, slipshod, and unconvincing” – for him the builders of Stonehenge were “howling barbarians”. The popular archaeologist Jacquetta Hawkes, meanwhile, observed that “every age has the Stonehenge it deserves – or desires”. Hawkins’s hometown was Great Yarmouth. He obtained his first degree at Nottingham University in 1949 in physics, with pure maths subsidiary, and a PhD in radio astronomy under Sir Bernard Lovell at Manchester University in 1952.